Outside broadcasting (OB) is the electronic field production (EFP) of television or radio programmes (typically to cover television news and sports television events) from a mobile remote broadcast television studio. Professional video camera and microphone signals come into the production truck for processing, recording and possibly transmission. 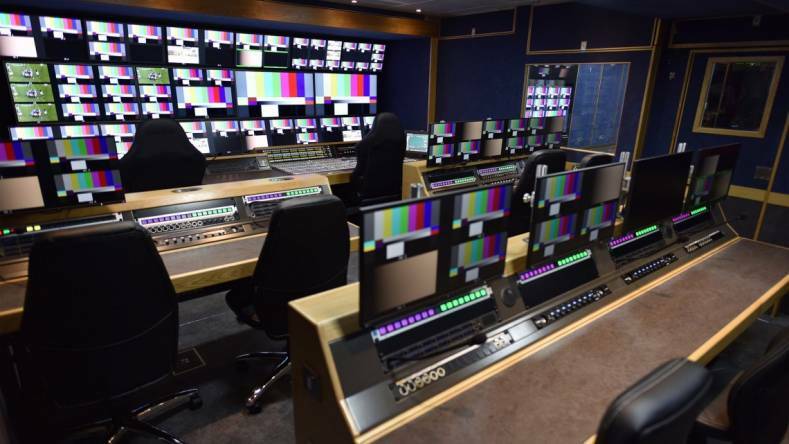 The mobile production control room (PCR) is known as a “production truck”, “scanner” (a BBC term), “mobile unit”, “remote truck”, “live truck”, “OB van”, “OB Truck” or “live eye”.